Edutainment Can be a Mind Opener for Kids. Know How? Sharing of knowledge is the basic purpose of education but it matters more when you are teaching kids. The right form of education in the early stages is vital for them to set a basement to their moral principles, social behaviour, and mental well being. Kid’s education should be planned in such a way to mould their aesthetic senses and way of conduct and help them grow up as good citizens. However, nowadays people are forgetting the real purpose of education and it is being more careers centric. Children are studying with an aim to build up a bright career and their goals are limiting to just clearing exams to pass to the next level. That is where the strategy of edutainment becomes very important and it acts as a mind opener for kids to really understand the purpose of education and get the many benefits that come its way. Here let us have a look at how the edutainment can really impact on a kid’s learning phase and how he/she can grow up better. Interactive learning: The routine class room learning is creating boredom in kids and this gradually creates unwanted pressure and negative tendencies towards learning. 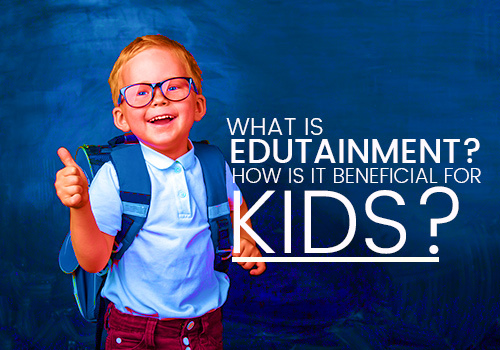 Edutainment makes it more interactive in the form of videos, games, storytelling and a lot more. Kids would have a love towards games and that is why this approach of learning with play works out for kids. This playful method in fact takes away the stress out of the fast paced lifestyle and lets them understand how interesting an education phase can be. The short sessions of engaging learning is not only captivating but also makes them feel excited about learning. Keeping them occupied for some time for learning can be a bit challenging and that is why this short period strategy gains their attention turned out productive. More grasping power: This playful method boosts the grasping power in kids. The way they understand a subject or idea is really impressive when compared to the conventional teaching method. This is really evident when comparing the grasping powers of kids taught through edutainment and higher class students taught through lectures. The interactive learning sessions would help the kids to register the content for long term than just short term memorization for passing exams. If the kid can connect an idea or concept to what they experience in real life, then they need not adapt any additional methods to memorize it. This novel approach makes a game or video watching as part of homework or assignments that in turn helps them to understand the idea in a much proper way. Knowing your subjects: In the conventional methods, kids just go through the textbooks or learning materials provided in school and memorize it to score well in exams. But with edutainment, kids get an opportunity to know more about their subjects and most importantly connect it with their real life. This approach can include anything from online cartoon shows, educational games or CDs, street plays, movies to even puppet shows. This kind of learning not only keeps them entertained but also teaches their subjects in a much deeper way. Learning toys: There are many learning toys in the market which teacher brings to the classroom to let the kids to play and learn. For instance, Abacus is a widely accepted fun based approach to teach basic maths for kids. Similar is the case of ABC blocks that teaches alphabets, rainbow roller that teaches colours and counting balls that teaches counting. In fact, these toys teach them many concepts and ideas without actually giving them a feel that they are learning. Quality educational toys can give a tough competition to online games that are also designed to teach them different concepts. Recreation activities are equally important as playing and they can be trained to have basic learning in their favourite art forms such as singing or dancing and even sports such as cricket, football, tennis or badminton. 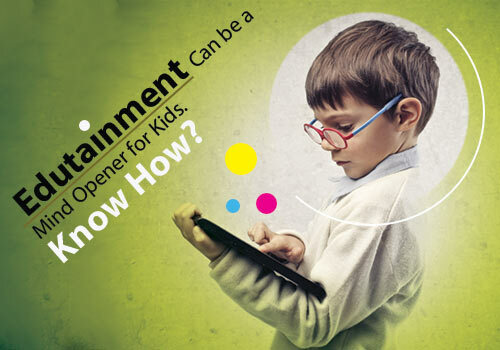 Enhanced creative thinking: Edutainment promotes creativity in kids through innovative games and interactive videos. This type of learning can in fact stimulate a thought process in the kid and they learn to think more about what is being taught. And this gradually develops a mindset in kids to try and learn something new in life always. This would not only help them to excel in their academics but also in other extracurricular activities. The right way of modelling and teaching in the kid’s level can help them grow up as good speakers and writers. Teachers include classroom games that promote problem solving skills, or one that challenges their brain or one that gives them a chance for team work and decision making. Improved intellectual skills: Children are always fascinated to know how stuffs around them actually work. The edutainment makes use of this kid’s interest to teach them new things in life. Playing with interactive toys that improve their hand eye coordination and games that demand their thinking and reasoning skills are included right along with learning of the science around them. 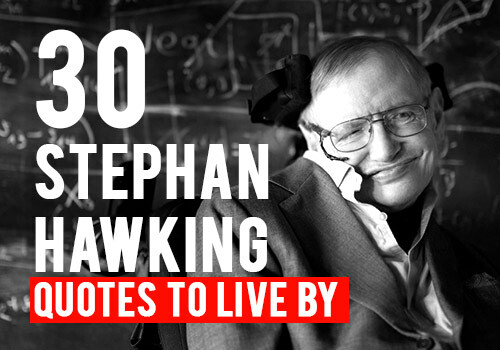 This in fact improves their intellectual skills which creates a base for advanced learning. Kids are good learners than adults and this is evident from the fact that they use the modern technology gadgets flawlessly. So it is good to use and develop their skills right from the initial days and give them more chances to showcase their excellence in novel ideas. Digital learning: The concept of edutainment is not new but this approach prospered well with the influence of digital era. 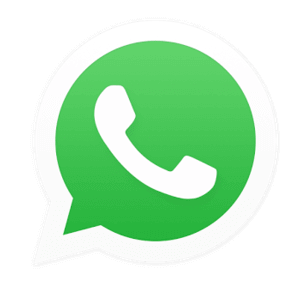 The wide use of technology has made the approach popular and widespread in no time. Teachers and parents are using many educational apps that make learning more interactive and fun. And kids are utilizing these apps to learn the basics of alphabets, numbers, colours and shapes in a playful manner. The portability of mobile gadgets makes learning possible despite where the kids are and this gives them an interesting outside the classroom learning experience. Real life exposure: This method of learning also focuses on taking the kids out of the four walls of a classroom and giving them opportunity to get a real life exposure. Exploring their environment is the key to a kid’s education and that is why teachers not only keeps them occupied them with gadgets but also gives them a chance to interact with nature once in a while. Studying with nature makes them closer to nature and this helps them to learn by interacting with their surroundings. This can be puppet shows, picnics, outdoor plays, excursions or cultural programs which can make them entertained but at the same time teach the hidden meaning or purpose of education. Positive outlook: Having a role model right from the initial phase of learning can help them to bring in positivity in their life. 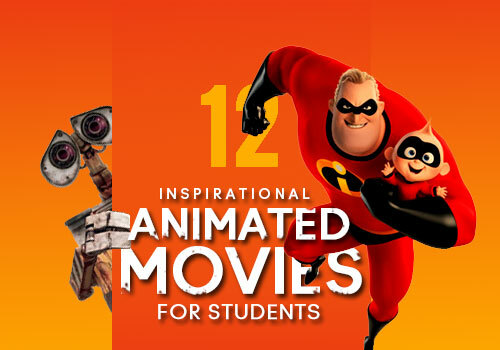 Teachers and parents can let them watch videos, play games or read books that have super heroes or characters who promote positivity. Kids would be greatly influenced by things around them and these types of activities can help them get inspired by such personalities. 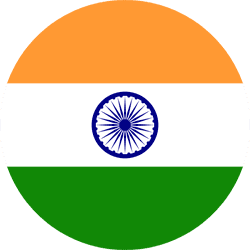 This is a prime source to enhance their moral values, role playing, team work and humanity. 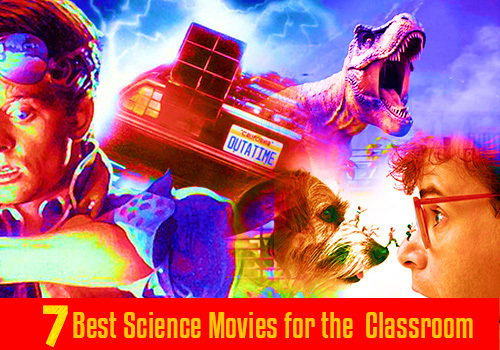 And most of these kid’s centric movies are framed in a way to attract children. 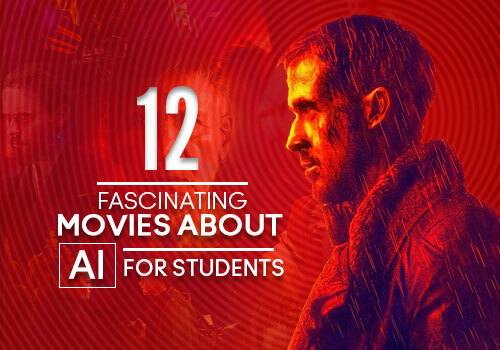 That is why kids would love to watch movies such as spiderman, superman and Harry Potter series that have made a big bang in the movie industry. As we all know, today’s kids are tomorrow’s citizens and that is why moulding them rightly from the initial days is important. 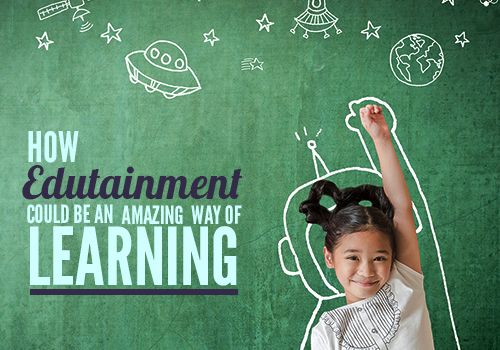 Edutainment can not only be a mind opener but also an eye opener for them to be good and do well. Technology has really transformed the way edutainment strategy is influencing kids. With the widespread popularity and usage of mobile gadgets, education apps and games are becoming the prime mode of letting kids learn with fun. In addition to using smart school software that helps students to have an amazing learning experience, schools are also taking initiatives to conduct interactive shows and even holiday camps to explore wide areas of learning with fun. 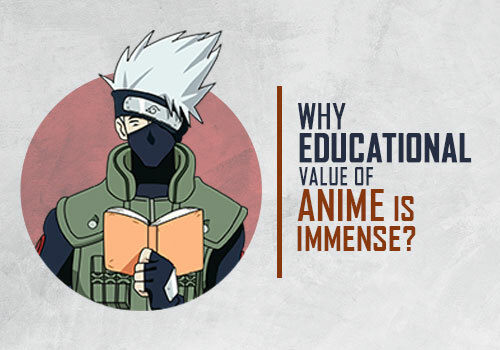 Why Educational Value of Anime is Immense? 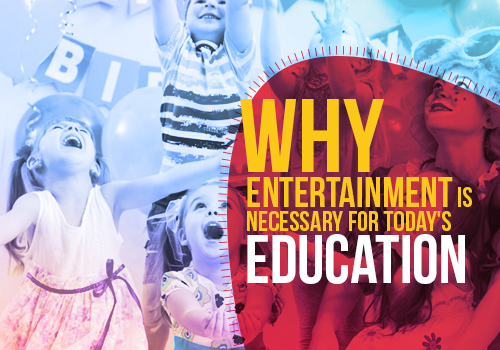 What is Edutainment? How is it Beneficial for Kids?